Janet Frame. Frame, Janet, photograph. © Jerry Bauer. Reproduced by permission. Janet Frame was one of New Zealand’s most well known contemporary fiction writers. She published eleven novels and several stories and poems, many of which are set in her native country. Frame is not only often acknowledged as New Zealand’s greatest novelist but is internationally famous—noted not only for her use of material from her years spent in a mental institution, but also for her complex writing style. Difficult Childhood. Janet Paterson Frame was born on August 28, 1924, in Dunedin, New Zealand, the fourth child of railway engineer George Samuel and Lottie Clarice (nee Godfrey) Frame, a former housemaid in the home of writer Katherine Mansfield. Frame began writing as a child in an effort to liberate herself from what she termed ‘‘a background of poverty, drunkenness, attempted murder, and near-madness.’’ During the Depression (a worldwide economic downturn in the 1930s caused by economic crises in Europe and the United States, among other factors), her large family scraped out a living in a rural area of New Zealand and suffered several tragedies. Two of her sisters, Myrtle and Isabel, drowned in separate incidents, and her younger brother George suffered many seizures from epilepsy. Writing as Genuine Life Saver. Though she wanted to be a writer, Frame began training to become a teacher at the Dunedin College of Education and audited courses at the University of Otago in 1943. Soon after entering college, Frame suffered from emotional issues. She began weekly therapy sessions, but while practice-teaching in Dunedin in 1947, a breakdown ensued. As a school inspector arrived to visit her classroom, Frame exploded and bolted from the room. Her breakdown required psychiatric treatment at Seacliff Mental Hospital, north of Dunedin. Frame was diagnosed with schizophrenia (a psychotic disorder marked by severely impaired thinking, emotions, and behaviors), and her teaching career ended. Although she endured several years of institutionalization and electroconvulsive therapy (applying electrical charges directly to the brain)—both common treatments of psychotic and psychiatric conditions at this time—she continued to write and published her first book of short stories, The Lagoon (1951). At the same time that Frame was scheduled to undergo a frontal lobotomy (the removal of part or the whole of the brain’s frontal lobe as a means of curing certain mental illnesses, a somewhat commonly used treatment at the time), the book was awarded the Hubert Church Memorial Award. This prize was at that time one of the nation’s most prestigious literary honors, and it is said to have resulted in the cancellation of her lobotomy. As Frame would later claim, writing saved her life. Autobiographical Successes. Upon being discharged from the hospital, Frame went to live with her sister and family in Northcote in Auckland. There, she met New Zealand author Frank Sargeson. That same year, Frame moved into an old army shack on Sargeson’s Takapuna property, where she wrote her first novel, Owls Do Cry (1957), which won the New Zealand Literary Fund Award in 1960. Frame then left New Zealand and moved to Europe to develop her talents as a writer. While abroad, she published several stories about her experiences in a psychiatric hospital, including Faces in the Water (1961). Much of Frame’s fiction contains autobiographical elements, but it was not until the publication of her three-volume autobiography in the 1980s that Frame revealed the details of her family life and the eight years she spent in and out of mental hospitals. To the Is-Land (1982) traces Frame’s poverty-stricken childhood in New Zealand and investigates some of the incidents that later led to a series of nervous breakdowns. In the second installment, An Angel at My Table (1984), Frame recounted her experiences as a student at a teacher’s training college and the events that caused her to flee from the assignment when the inspector entered her class to observe her lesson. Heinrich Böll (1917-1985): Böll was a German author respected for his post-World War II writings, including Billiards at Half-Past Nine (1959), and for his successful resistance to joining Hitler's Youth. Ella Fitzgerald (1917-1996): Fitzgerald was an African American vocalist dubbed the First Lady of Song. She is considered one of the most influential jazz singers of the twentieth century. Sylvia Plath (1932-1963): Plath was an American poet and novelist. She explored her obsessions with death, self, and nature in works that expressed her ambivalent attitudes toward the universe, as seen in The Collected Poems (1981). 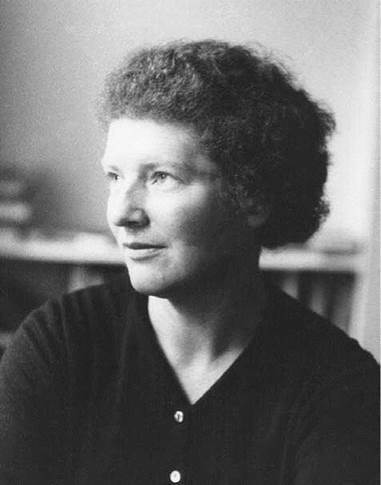 Doris Lessing (1919-): Lessing is an English author. She is perhaps best known for her novel The Golden Notebook (1962). Lessing won the Nobel Prize for Literature in 2007. John Updike (1932-): Updike is an American novelist, essayist, and literary critic. He is often appreciated for his in-depth chronicling of American psychological, social, and political cultures in his novels of the ''Rabbit'' series (1960-2001). Influences of Society, Failed Communication, and Madness. Frame’s work is complex and not easily accessible. It is also as rewarding as it is challenging, as it imaginatively attacks larger issues of memory as fiction, language as deceptive, and women as vehicles for silence in a largely patriarchal world. Regarding Frame’s work and its treatment of memory, there has been much debate over whether her autobiographical work is mostly fiction and whether her fiction is mostly autobiographical. Along with her reluctance to allow her life to be categorically described and dissected by critics, Frame readily acknowledged that autobiography itself is a fiction. Her own memory was affected by the many electroshock therapy treatments she received during her eight years in mental institutions, affecting her ability to truly write autobiographically. Even the clearest memory cannot be rendered precisely within the limits of language, as her characters often illustrate. Difficulty of Communication. Through her characters, Frame addresses the problem of language as an inept mode of communication. Many of her characters have difficulty relating to others through words. For example, in Scented Gardens for the Blind (1963), narrator Vera Glace is tortured by the speechlessness of her daughter, Erlene. In The Carpathians, New Yorker Mat- tina Brecon attempts to get to know her neighbors on Kowhai Street, where she has taken up temporary residence in order to research the Memory Flower, for which the town is famous. One night she awakens to find her neighbors screaming without human language, covered by a midnight rain of glittering specks that are the ashes of language: letters and punctuation marks. The townspeople mysteriously disappear, Mattina and Kowhai Street are left deserted, and no words can explain exactly why. In such novels, Frame frequently uses figurative language in an effort to depict the ways in which people communicate—or fail to. Themes of Dysfunction, Difference, and Madness. Much of Frame’s fiction is marked by concerns with death, poverty, and madness—conditions with which she became familiar while growing up during the Depression, and later when she spent so many years institutionalized. Owls Do Cry concerns a woman struggling to survive in a psychiatric hospital. Intensive Care (1970) is a story about the creation of legislation that would rid the world of misfits. Scented Gardens for the Blind is an allegorical tale about the possible atomic destruction of Britain. In such works, Frame explores misconceptions about insanity by juxtaposing madness and fantasy with reality. Social Inequities. Frame’s writing also addresses the social inequities of people who are perceived as being psychologically, physically, or intellectually inferior by those possessing political power. Her writing is, for instance, often woman-centered. Reflecting the woman- negating influences of a patriarchal world, her main characters are usually females who have been silenced or who have protected themselves through silence. Their language moves within this silence and either serves as companion or executioner. Empowerment. The bridging of worlds for the sake of empowerment is central to Frame’s work. Though her novels usually stop short of actually empowering her characters, there is the persistent yearning for communication and the idea of acceptance as potential cure. Society, with its limited language, views anyone outside the tight circle of prescribed roles as deviant. Frame’s characters, chained to society by both language and thought, can only attempt to define their own boundaries in society. Despite their frustration and failure at communication, these characters can be thought of as heroic. They strive to find a balance between their individualism and societal norms and eventually come into their own. Many of Frame’s novels are generally regarded as disturbing and powerful. Equally significant is how critics have ranged in their responses from struggling to comprehend Frame’s work to praising it with much applause. Several, for instance, have commented on how difficult Frame’s novels can be to interpret. Narrators cannot be assumed to be truthful, and events cannot necessarily be taken as fact. Others have praised the lyrical, complex language and word games Frame employs in her fiction. The names of her characters, for example, are frequently symbolic, like Thera Pattern in The Edge of the Alphabet (1962), Vera Glace in Scented Gardens for the Blind, and Malfred Signal in A State of Siege (1966). Still other critics have dismissed these tactics as a distraction from her thematic intentions. The Carpathians. The Carpathians was Frame’s last book and is the subject of much critical review. The story takes place in the fictional town of Puamahara, New Zealand, where a local legend purports that a young Maori woman gained unusual knowledge of human history after tasting the fruit of an unknown tree. Mattina Breton, a wealthy New Yorker, travels to New Zealand to learn the source of the folktale from Puamahara’s eccentric residents and becomes fascinated by reports of the Gravity Star, an astral phenomenon that—if real—would challenge common perceptions of time and space and destroy the world. 1. Frame’s novels explore how New Zealanders struggle with their identity, trying to fit into a country with Maori traditions. After reading one of Frame’s works, write a brief essay that explains how Frame views cultural identity. 2. Read Faces on the Water and hold a class discussion about Frame’s experiences with a mental disorder. Discuss how her personal experience had such a strong impact on her writing. 3. Frame claimed writing saved her life when her book of short stories, The Lagoon, won the Hubert Church Memorial Award and averted her scheduled lobotomy. After reading the stories, work in a small group and prepare a statement that explains why these stories are worthy of such accolades. 4. Frame did not agree to many interviews. Imagine that Ms. Frame is still alive and that you have been granted a rare opportunity to interview her. What questions would you ask? Why? ________Tread Softly for You Tread on My Life: New and Collected Writings. Auckland, New Zealand: Cape Catley, 2001. ________Wrestling with the Angel: A Life of Janet Frame. New York: Picador, 2002. Finlayson, Claire. ‘‘A Bolder Spirit.’’ University of Otago Magazine, February 2005, 13-14. King, Michael. ‘‘The Compassionate Truth.’’ Meanjin Quarterly 61, no. 1 (2002): 24-34. Cronin, Jan. ‘‘Towards Another Summer by Janet Frame.’’ New Zealand Herald. Retrieved June 9, 2008, from http://www.nzherald.co.nz/2.